I might not have as much opportunity to craft as I did before, but I'll take what I can get. Paper crafts take up an astonishing amount of space (not to mention the array of tools and materials) but I absolutely love working with paper. I tend to be more creative with it than other crafts in my repertoire. 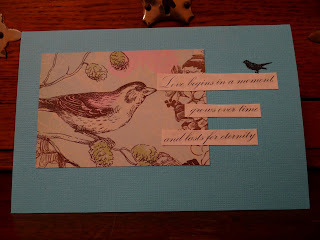 I had fun this evening playing around with card making materials. 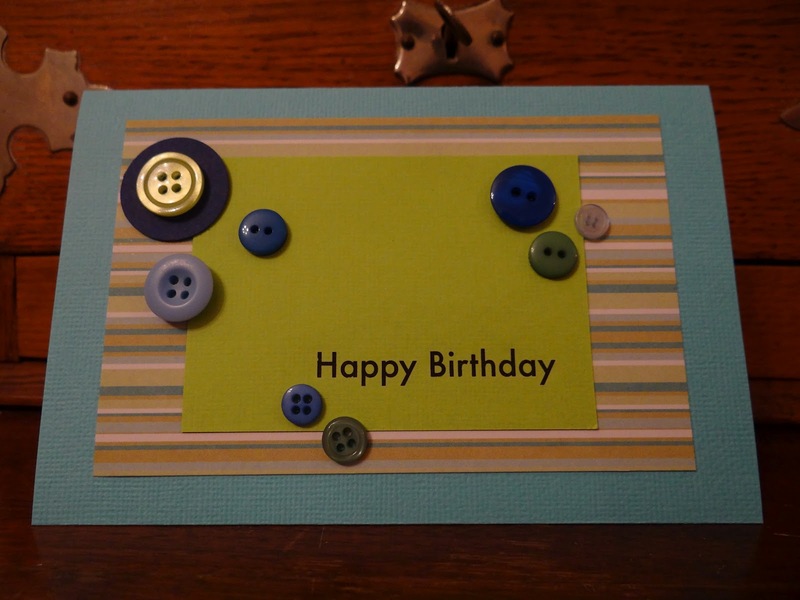 I made the card blanks for both cards in this post from a single 12x12 square of card stock. The card above is just me having fun with buttons and paper and seeing what I can do with them. I'm normally a bit wary of using stripes - you have to get them just so or it looks wonky. This card's not been made for any particular occasion but I'm sure I'll find an occasion for it at some point. This card is for a 60th wedding anniversary I'm going to in the near future - I'm not too worried about the intended recipients seeing it, so I might as well show it off now. I began with one concept and asides the pretty bird not much of the original idea stayed.